Every year, educational institutions enroll hundreds of students. As a result, the institutions’ system engineers require extra time and effort to create an AD account for each student and then to manually inform the students about their usernames and passwords. 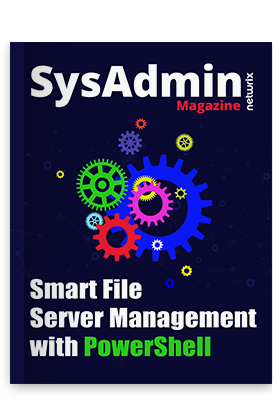 This step-by-step guide will make system engineers’ lives a little easier with the help of PowerShell scripting. The script enables you to create AD user accounts from a CSV file, assign random passwords to them, and then send those usernames and passwords to the new students in welcome emails. I have used the following cmdlets in my script. Click on any individual cmdlet for more details. To send the emails with credentials to the new users, I am using a Gmail SMTP server. However, you can configure the script to your IT environment and your mail server. The script below was written and tested on DC running on Windows Server 2016. If you need to run the script on Windows Server 2012, 2012 R2, or 2008, you may have to import some PowerShell modules. $subject = "Domain Account Details"
Open PowerShell with your elevated privileges and execute the script file that you created in Step 1. Once you have successfully executed the script, users can immediately log in to the domain. You can verify the account creation in Active Directory Users and Computers console and email the notification about the account creation by using CC field in Send-MailMessage cmdlet. Check out my recent post to learn how to discover new users added in AD within the last 24 hours and email their credentials using PowerShell. You may also try this How-to: Export Specific Users from Active Directory if you are frequently asked to export AD users to CSV. Please feel free to leave your suggestions in comments so that we can enhance the script functionality.